Something's wrong with this picture..... ಠ_ಠ. 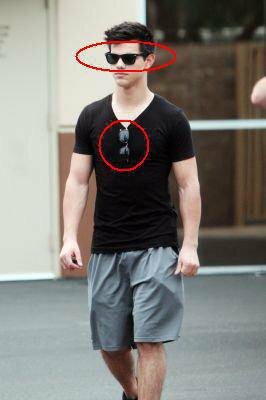 Wallpaper and background images in the bila mpangilio club tagged: random picture taylor lautner sunglasses. The ones on his eyes look shopped. Just sayin'. ugh. i hate him. he is so overrated! please get over him everyone. he is just doing that to look cool.